Give the job to Jonel’s fully trained and qualified technical RAM repair staff and relax, knowing the job will be done on time and expertly finished. 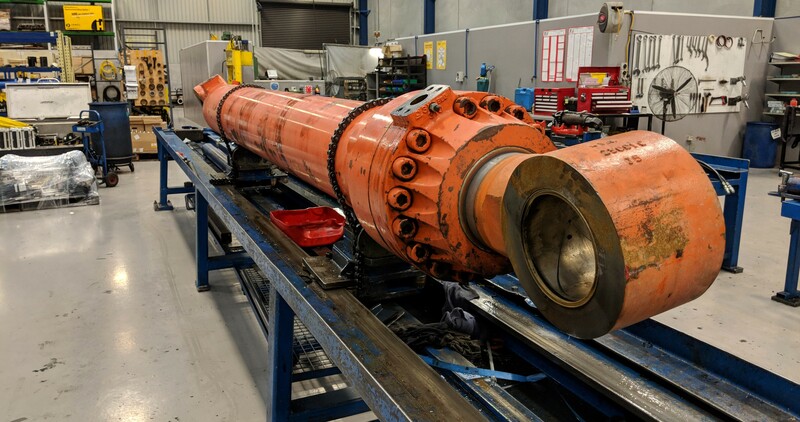 Our hydraulic technicians operate in state of the art facilities, offering a full range of hydraulic services, from hydraulic cylinder dismantling and diagnosis to repairs and reconditioning. Custom cylinder manufacture is also a significant part of our business, but when cost is a consideration, we know that cylinder repairs are normally more cost effective than new hydraulic RAM manufacture. Avoid the risk of doing RAM repairs yourself and gain the benefit of our 30 years of hydraulic service experience. We specialise in big hydraulic cylinder repairs; the bigger the better! Big RAMs are no problem with our large workshop, high tech facilities and expert staff. We will hone your hydraulic cylinders to extremely fine tolerances, giving your RAMs longer life and peak performance. While we service your RAM we realise the downtime is costing you money. Our goal is to turnaround as fast as we can so your downtime costs are minimised. All our factory and repair processes are designed with ‘fast turnaround in mind. 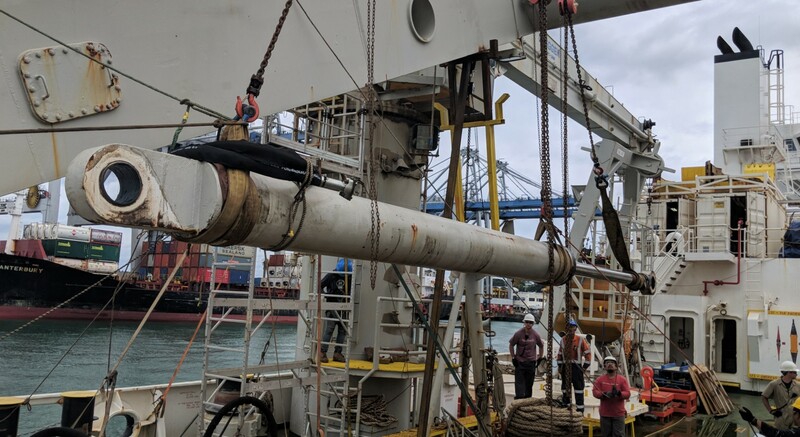 Jonel provide New Zealand and the Pacific with a full range of hydraulic cylinder repairs and RAM repair including cylinder honing, new hydraulic seals and testing. Jonel recommend a full seal replacement on all the hydraulic cylinders we work on, as new seals are essential to ensure maximum performance. We can also custom make RAM seals to suit. The same logic applies to maintaining the condition of essential hydraulic components such as piston and glands as it will add years to the life expectancy of your hydraulic cylinders. Our goal is to provide comprehensive hydraulic cylinder maintenance to prevent costly downtime. Contact Jonel’s expert team or phone +64 9 274 9296. We are in Auckland and Christchurch, and provide our fast turn-around hydraulic repair services New Zealand wide.